Make an appointment with an experienced wills and probate lawyer by using the form below. Under the Wills Act 1970 (WA), a Will is automatically revoked upon marriage or divorce. However, this is not the case in a de facto relationship. A Will is not automatically revoked when parties enter into a de facto relationship or after the breakup of this relationship. Instead the Will continues to be valid. This situation occurred in a recent case in Western Australia where the late Mr. Scott stated in his Will that he left his estate to his “de facto wife, Katherine Mary Murray”. When he died, Mr Scott had been separated from Ms Murray for some years but failed to update his Will. Therefore, Mr. Scott’s Will was not automatically revoked when he separated from Ms Murray. The question was whether Ms Murray should be entitled to the gift stated in Mr. Scott’s Will. In determining the construction of Mr. Scott’s Will, the Supreme Court of Western Australia found that the deceased had bequeathed his property to Ms Murray in his Will because she was his de facto spouse. Once Ms Murray ceased to be his de facto spouse, the disposition to her fell away. The validity of a Will and meaning of the words set out in a Will are subject to legislative rules and are complex. Hence, it is important that a Will is prepared by a solicitor experienced in this area of the law. As in the case of the last Will of the late Mr. Scott above, uncertainties in the Will may cause further grief to family members who are already struggling to cope with the loss of a loved one. Furthermore, expensive legal representation may be required to resolve these uncertainties. I do not understand the terms of the Will made by the deceased. What should I do? How am I to carry out the wishes of the deceased? How will the Court interpret the Will? The deceased left some handwritten notes to clarify the gifts made in the Will. Can I refer to the notes in determining the deceased’s intention in his Will? First and foremost, under section 26 of the Wills Act 1970 (WA), unless the contrary intention appears by the Will, the Will is to be construed, with reference to the property comprised in it, to speak and take effect as if it has been executed immediately before the death of the Will maker. This means that the Will must be construed taking into account the Will maker’s assets and liabilities at the death bed and not at the time when the Will was made. The Wills Act 1970 (WA) contains other general rules of construction of a Will. The task of a Court is to discover the testator’s intention by examination of the words used in the Will. In determining the testator’s intentions, the Court interprets the words of the Will, in the context in which they appear, according to their “usual or primary meaning”. If the words of the Will are clear, the Court will not admit evidence to demonstrate that the testator used the words in something other than their ordinary sense. ambiguous in the light of the surrounding circumstances. Evidence of the Will maker’s intention is not admissible to establish any of the circumstances referred to above. The first question is whether the Will left behind by the deceased is valid. You have to consider the rules under the Wills Act 1970 (WA). For example, under this act, a Will is automatically revoked by legislation upon marriage or divorce unless special words have been used in the Will providing for the validity of the Will as a result of an impending marriage or divorce. The next question is the meaning of the Will. Having regard to the law, the construction of a Will starts with the words written in the Will. If the usual meaning of the words written in the Will are clear, the Will is given that meaning. If the words are meaningless or ambiguous, the Court may have regard to extrinsic evidence to the extent allowed under the law. If you are the executor of a deceased estate and if you have concerns regarding the validity of the Will or the meaning of the terms of the Will left by the deceased, you should immediately seek legal advice to determine the correct construction of the Will. The executor should also secure and keep safe any notes left behind by the deceased just in case that these documents are relevant in the construction of the Will. 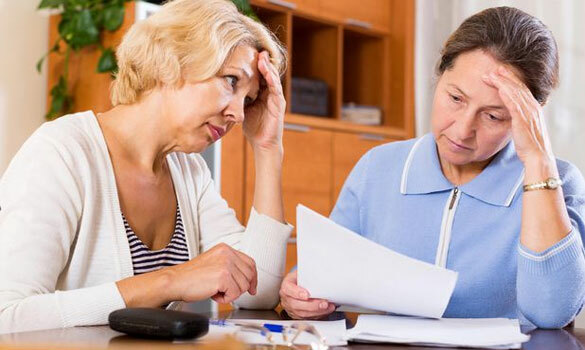 The executor should also be mindful that the executor may be sued and be personally liable to a beneficiary if the executor has given an incorrect meaning to the terms of the Will and distributed the assets in accordance with that meaning as a result of which loss was caused to the beneficiary. If you are a beneficiary of a deceased estate and if you feel that you have been unfairly disadvantaged as a result of the construction of the Will placed by the executor, you should also immediately seek legal advice to determine the correct construction of the Will. In certain cases, the executor or beneficiary may have no option but to make an application to the Supreme Court for a determination of the terms of the Will. What Is The Legal Help Project? The Legal Help Project is an outreach initiative of Robertson Hayles Lawyers providing affordable initial legal advice to the community in areas of the law impacting on the individual. Robertson Hayles Lawyers is a legal practice based in Perth with more than 50 years of service to the Western Australian community. The above content is only intended to provide a general overview of the topic discussed. It is not intended to be comprehensive nor does it constitute legal advice. You should seek legal advice specific to your circumstances before acting or relying on any of the above content.